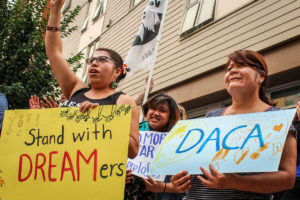 Through a partnership with the Seattle Office of Immigrant and Refugee Affairs (OIRA), 21 Progress, Seattle-based community organization, will provide assistance in paying the DACA (Deferred Action for Childhood Arrivals) renewal application filing fees. 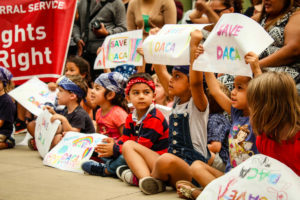 They will also continue to provide education on the current status of DACA and resources to stay informed and prepared for potential changes. 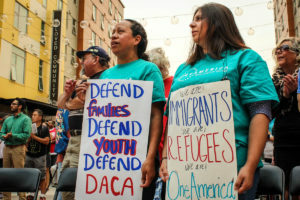 Each fee assistance recipient will complete an application either online or in-person, verify their eligibility for the program, and attend an orientation before receiving a check made out to the Department of Homeland Security to submit with their DACA renewal application. DACA Scholarship applications will be available to you after completing the following interest form: https://goo.gl/forms/Yf7uFcWHRLiVKWnz1. 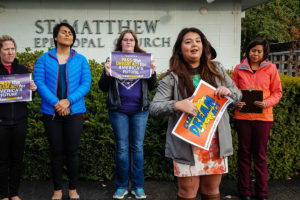 Scholarship funds are available to individuals who have or previously had DACA status, have a completed DACA renewal application, and who reside, work, or study in the city of Seattle and meet certain income requirements. Information and education will be provided to anyone who wants to learn more about DACA and available resources, including DACA recipients, their families, and youth who are not eligible to apply for DACA at this time. 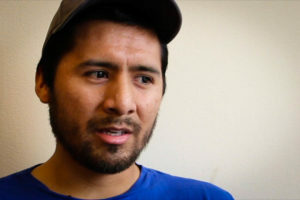 To learn more, email: daca@21progress.org, call: (206) 829-8482, or go to: 21progress.org. Tags: 21 Progress, Briefs and Announcements, DACA, Deferred Action for Childhood Arrivals, Office of Immigrant and Refugee Affairs, OIRA. News briefs and announcements can be considered for publication by writing to editor@seattleglobalist.com. Announcements may be edited for style and clarity.